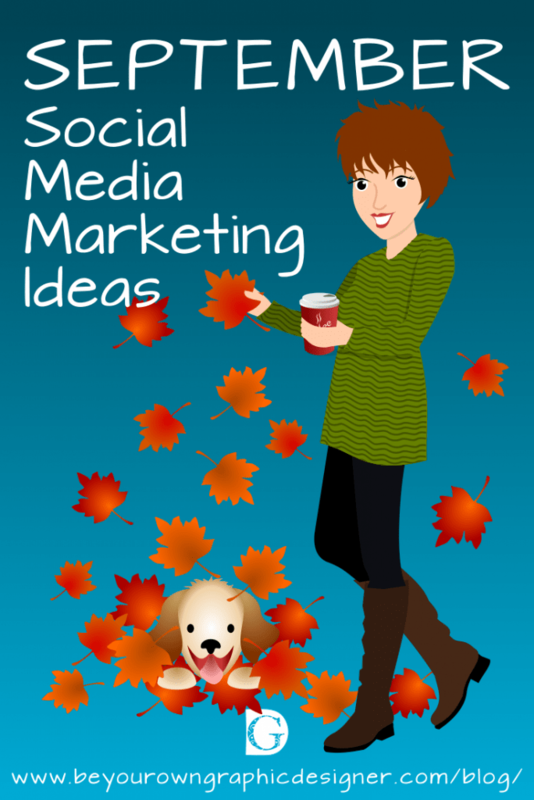 Below are quite a few more ideas that will help you with your September social media marketing. The Romans believed that the month of September was looked after by the god of the fire and forge – Vulcan. Therefore, they expected fires, earthquakes and volcanic eruptions in this month. In many parts of the world, September is the first month of Autumn and it is associated with the beginning of school. September is the only month with the same number of letters in its name in English as the number of the month. The Anglo-Saxons called September ‘Gerst monath’, meaning ‘barley month’ which seems appropriate as it’s usually harvest time. In 1752 September had only 19 days in the UK as we moved from the Julian to the Gregorian calendar. The birthstone for September is the sapphire, which is said to reduce inflammation, treat fever and act as a lucky charm for the person wearing it. There are three traditional flowers of the month of September: the aster, symbolising love; the forget-me-not, representing memories and love; and the morning glory, symbolising unrequited love. Of course, the fact I found most fascinating is that in 1608 men were banned from knitting on the island of Jersey in the Channel Islands, UK. This ban was during the fishing season months of August and September! Knitting had become so popular and profitable that there were not enough labourers at harvest time and the crops were left in the fields to rot. I then also discovered that it is illegal for men to knit during daylight hours in Guernsey, another of the Channel Islands! This law was created because local fishermen worked out they could make more money knitting Guernsey jumpers than they could make fishing. As a result. a law was passed to get the men back out on the fishing boats. It seems like neither law has never been repealed. Clearly, the Channel Islands are a law unto themselves! Many of these events are linked to charities so you can decide on one to support for the month. There are so many of these in September. You’re spoilt for choice with potential content for your September social media posts. I never need an excuse to read! and I’ve always had a soft spot for a Teddy Bear.?? International Day of the Deaf, 30 September. We’ve triple checked these to make certain they are accurate for 2018 but it’s amazing how much different sites vary when you try to verify these. 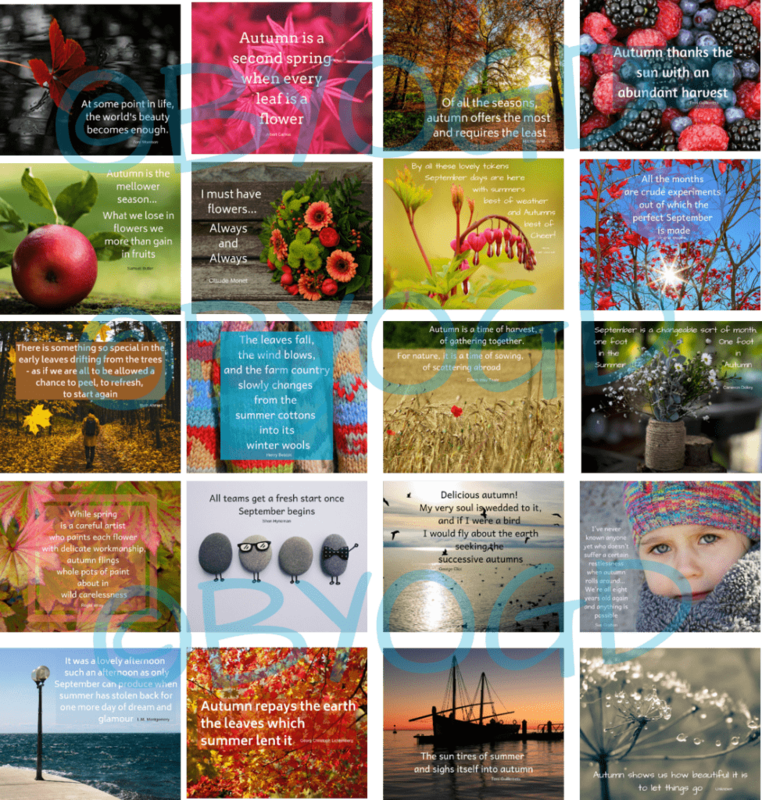 There are also quote/meme images for September that you can purchase from us if you’re short of time. All you need to do is add your logo and website address to personalise them! Find out more and preview them here. 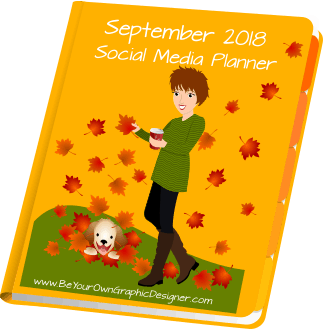 I hope these September social media ideas will help you create a varied and interesting plan for the month. If you like the images in our blogs, similar images are available for you to buy and download from our Collection. We also have instructions on how to make your own images in our How-To section.